Karl Lagerfeld is undoubtedly one of the world’s most influential and iconic designers, with an extensive and supremely successful portfolio. 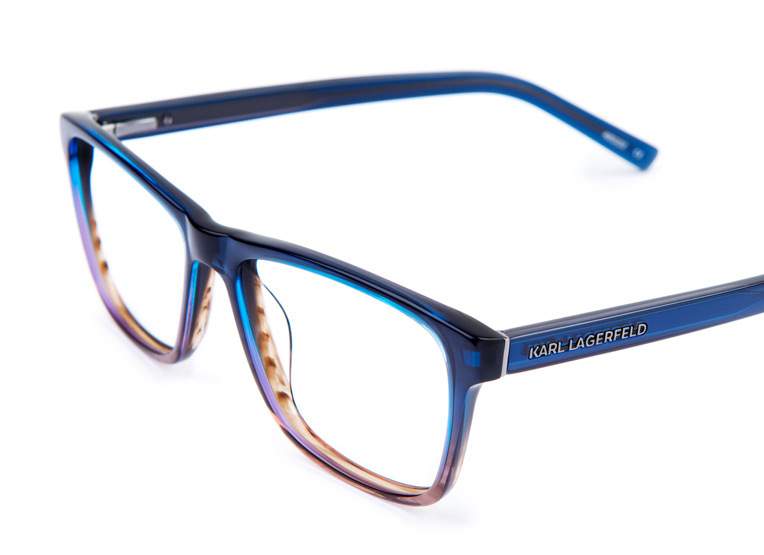 The Karl Lagerfeld eyewear collection is contemporary cosmopolitan yet includes some classic styles. These frames have all been designed for the fashion- and quality-conscious, sophisticated customer. This clean design features a sleek, satin-blue metal brow bar, dropping to slim silver-highlighted lower rims. 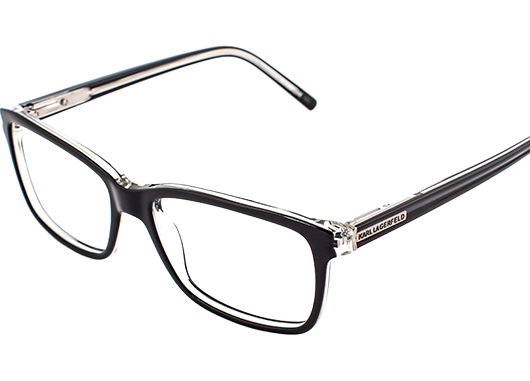 Suitable for any occasion these frames feature a modern, dipped bridge and signature Karl Lagerfeld branding on the upper temple. 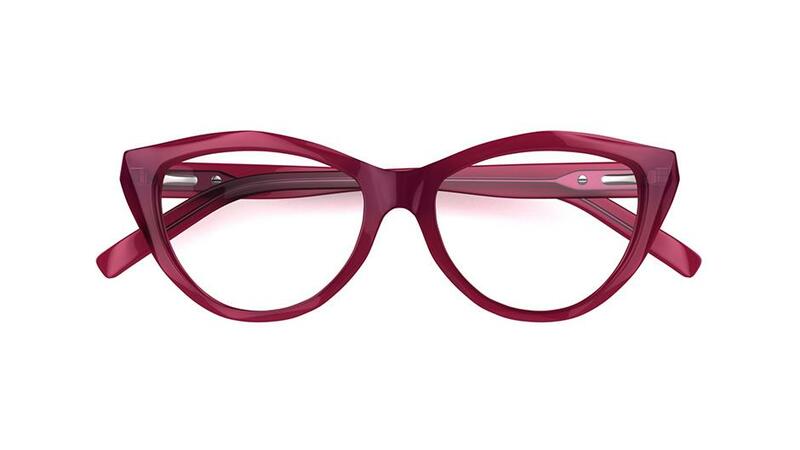 A classical, feminine-shaped, black frame that excudes style and elegance. 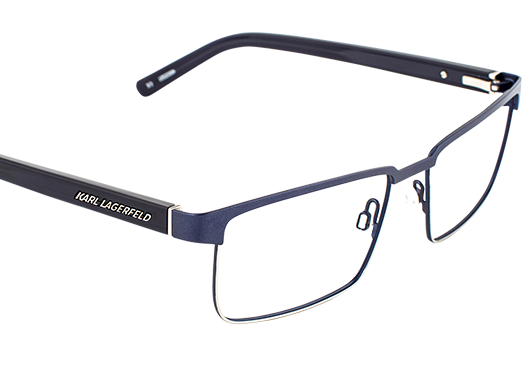 Neatly branded with the internationally renowned Karl Lagerfeld logo metal plaque on the right side, this frame is beautifully designed. 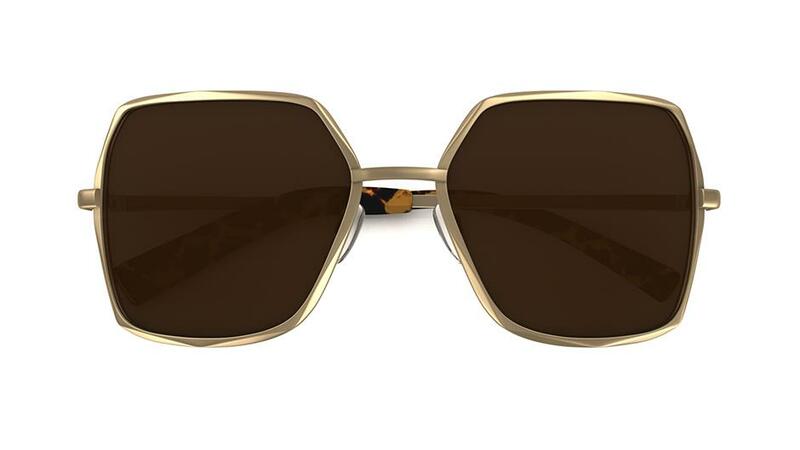 A glossy black, acetate plastic frame with a hint of the wild side owing to the distinct gold block logo pannel on the tortoiseshell tapered sides. A playful tortoiseshell interior unfies the exterior elements. This easy-to-wear men’s frame is a study in cool understatement. 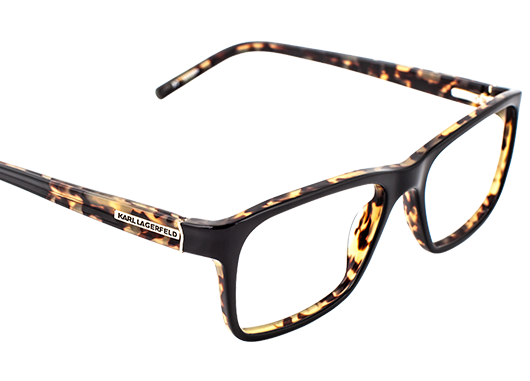 The acetate plastic frame has a rich, petrol-blue upper rim, graduating to a sand-coloured lower rim. 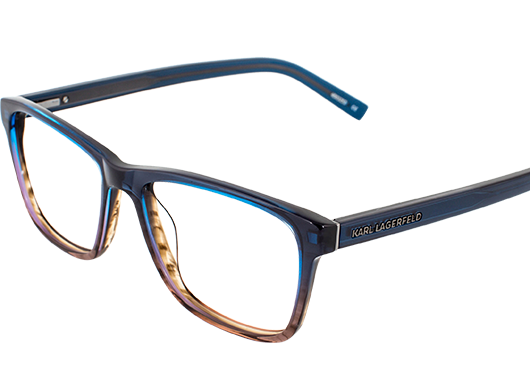 Tonal blue acetate temples feature a silver, metal bar and matching branding, giving the frame an extra touch of class.